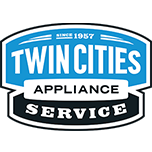 The service from Twin Cities Appliance Service was great. I wish I could say the same for Maytag customer service. DRYER WHIRLPOOL MED6630HW0 "Upon arrival verified 2 minutes and no sensing on normal selection, ran a diagnostic test unit passed after test normal setting starts at 1:24 all other cycles have correct time setting, tech line has no answer for this situation recommend board @n$ UI SR7724272435. ; ordrng 1 W11308535 (CONTROL BOARD) and 1 W11310058 (CONSOLE)"
REFRIGERATOR KITCHENAID KRFF507ESS01 "e2 icemaker code won’t run getting 13.3 vdc in test 59 to icemaker fill tube frozen evap iced up on left side moving toward middle need damper, parts, thermistor harness icemaker and heater called Techline to document. SR#7724328641. Customer called customer care and said that KA is going to exchange unit for them"
MICROWAVE WHIRLPOOL WMH32519CB2 Installed interlock W11244494 tested operates correctly. DRYER WHIRLPOOL WED85HEFW2 "Installed control, valve and hose assembly unit still seems to not mist water enough builds up on door runs down and leaks out bottom front of dryer. Valve came with all but nozzle nut which i took pic of will need to put into research for nozzle that I took pic of which is not in parts breakdown ; O-emld tckt"